I'm not usually found anywhere near silver teaspoons. In fact, anyone who knows me would assume that if I were to partake in a traditional English afternoon tea, there would have to be more to it. A hip flask of gin sloshing underneath the table, or Halloween-themed cupcakes. 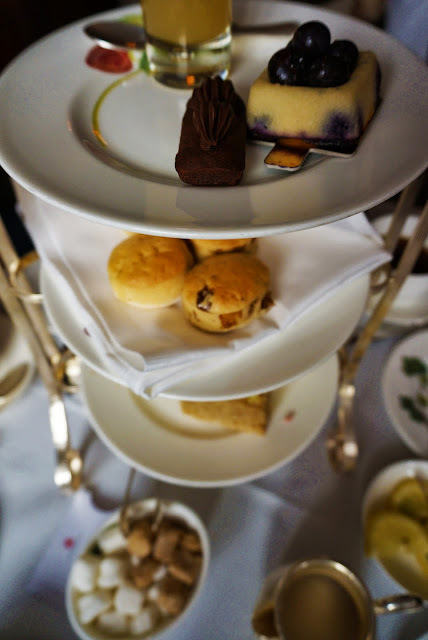 Nonetheless, special occasions and visiting family led me to book a table at Brown's in Mayfair, London for an afternoon cream tea. I had employed my best Sherlock Holmes instincts (ok, Google) to sniff out a few cream tea options in London that could cater for gluten-free and found Brown's referenced in a couple of blogs. Nothing on their website even gave a whiff of gluten-free so I emailed them sceptically and remained a little cynical when they confirmed that they could do it. Fancy teapots. A temptation for smudgy fingers. There's a big gulf in the world of gluten-free catering: there's paying lip-service (those restaurateurs who grudgingly hold the croutons from a salad and declare themselves winning at the special diets game). And then there's those who go above and beyond, providing delicious gluten-free food that doesn't feel like a limp-lettuced compromise. I was wondering where a gluten-free afternoon tea would lie on the scale. But Brown's delivered. Boy, did they deliver. 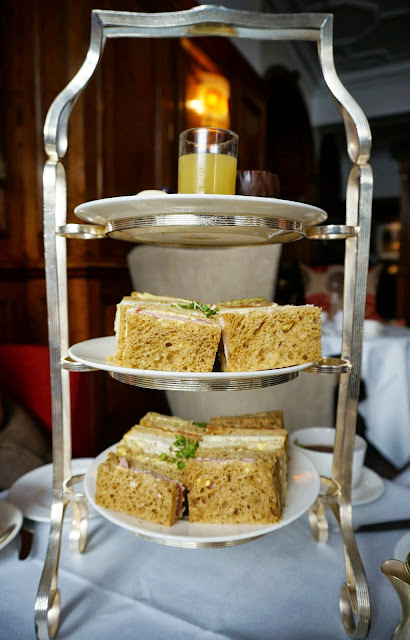 Dainty gluten-free sandwiches in flavours from coronation chicken to the Windsors' fave, cucumber. A healthy plateful of tarts and gateaux: chocolate brownies, blueberry cake, zesty orange and cream cheese cake, chocolate, cream and berry cup... Gently warmed gluten-free scones followed, served with the gloopiest clotted cream imaginable, and strawberry preserve so sticky you could lose your spoon in it. Scones, cream, jam and tangy raspberry sorbet. Image by Anita Isalska. And of course, there was tea. Every infusion from white tea to jasmine was lovingly inscribed on a menu that would make a French wine list look a little thin. 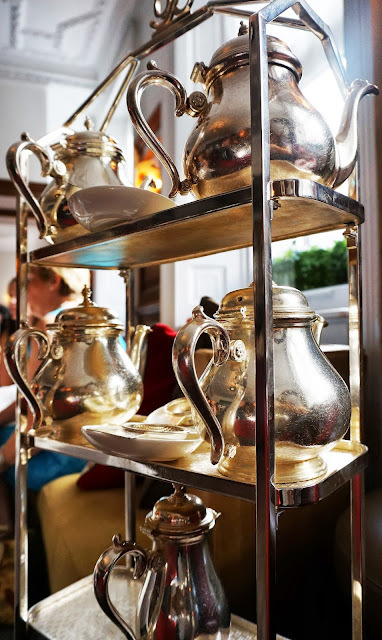 The waiting staff zoomed around the period tearoom refilling teacups with their arsenal of pots, strainers and rattling tea trays. Best of all, they kept it coming. Now I'm not advocating that you treat these rarefied surroundings like an all-you-can-eat-buffet, but we certainly nodded (mouths too full to actually say yes) each time a waiter asked if we needed our sandwiches replenishing. Start from the top down. Or just grab madly at the scones. Image by Anita Isalska. After such plenty, I had to ask: why weren't they shouting their gluten-free offering from the rooftops? "All part of the service," our waiter told me. 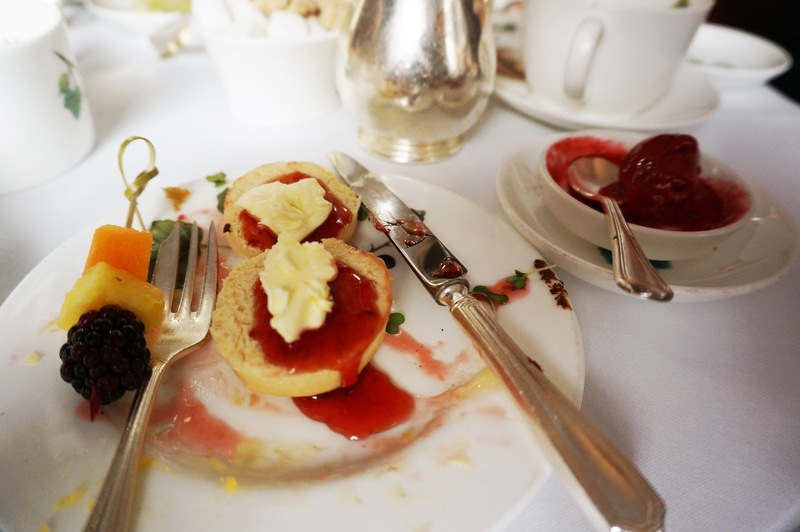 Catering for gluten-free is nothing, he added, considering they can put on an afternoon tea for avoiders of multiple food types: gluten, dairy, sugar. "We rely on positive reviews to spread the word." How much: a wallet-singeing £39.50 per person (but worth every penny). What's it like having a gluten-free girlfriend?